This is the ultimate water purifier buying guide which will help you to buy the right water purifier. So, are you thinking about buying one? Maybe you have already made the decision, but wait a minute. Did you follow the due process before buying? If yes, then go ahead and buy. If no, you need to spend some time reading below as this could help you in choosing the right water purifier to buy. You may still be having some questions in your mind seeking clarification which you will find answers here in this Guide. Read it thoroughly and make your choice which I believe will the right choice. So, let’s begin. What Should You Do Before Buying a Water Purifier? UV, UF, and RO Water Purifiers – Which One Should You Use? How can UV, UF, RO water purifiers help rural people? How can UV, UF, RO water purifiers help urban people? 1. Do you really need a water purifier? 2. What is TDS in water? 3. What is the acceptable norm for TDS? 4. What are the different kinds of water purifiers available in the market? 5. What are the different purification technologies available? 6. What is the need for a TDS controller in RO filters? It is imperative for me to stress the below recommended process as this will help you in selecting the ideal and most suitable water purifier for your home use. If you don’t do this, there is a high probability that you will make the wrong choice, in the sense that you could very well end up buying the wrong product. The prerequisites involved in the buying process are listed below. Test the water supply in your house. Now, you make ask how to test the water. You can do it in two ways, one by trusting your instincts and other with the help of a digital TDS meter or a water test kit. A simple way to analyze the quality of water is by smelling and tasting it. If you feel the water has a bad odor or it tastes bad, then this is enough to judge if the water is fit for drinking. What if the water smells and tastes good? Is it good for drinking? The answer is NO. Look for color, sediments or particles in the water. You will also have to check the pipes for corrosion or mineral buildup. If you find any of these, then the water you drink could very well have minute particles which may affect the quality of water. All the above-listed methods to analyze water can be implemented by you, but for a detailed analysis it is important that you test the water through a water testing lab as the water that you drink may have contaminants like lead and arsenic which could only be found by extensive analysis of water. Water analysis not only helps in finding out TDS in water, but also helps in identifying the presence of dangerous microbes in water. For those residing in cities and rural areas, there are many government authorized as well as private water testing centers where you can test water. If you don’t have the time to go and get water tested through a water testing lab, don’t worry, you can now get it done online. PurityPortal is an purity testing lab where you can book online for water testing (they will come and collect samples at your doorstep). Likewise, you will find many water testing services online. Once you have tested the water, read the water analysis report. Depending on the results, you have to take your next decision. If the result states water is fit for drinking, then good news for you. You don’t have to spend money to buy water purifier. If at all the results are disappointing and the water is not fit for drinking, you can consider using water purifier. High TDS level is the primary reason for abnormal water test results. You should not ignore this as prolonged drinking of high TDS water could affect your health. According to the World Health Organization (WHO), TDS level around 300 ppm is considered excellent; however, TDS level in the range of 50 to 500 ppm is normal and is safe to drink. Ideally, drinking water should be free from disease causing pathogens such as Escherichia coli, Vibrio cholerae, Salmonella typhi, Shigella, Helicobacter pylori, Giardia lamblia, Cryptosporidium, Cyclospora cayetanensis, Hepatitis E virus, etc. This is not an all-inclusive list of harmful microbes. I have just listed the most common disease causing microorganisms. Do check in the results if any harmful microbes are listed and if you find any of them mentioned, take adequate steps to eliminate it. Check for the source of contamination. Assuming the results returned abnormal, i.e., water is not fit for drinking, the next approach that you should adopt is to look for the latest technologies that are available in the purification process. Gone are the days where you just use a filter which used traditional ways of purifying water. In modern times, we have the latest innovative technologies which will help you drink safe water. The new generation water purifiers uses RO, UV, UF, TDS based purification technology. You should be able to know which water purifier could serve you the best based on the test results. 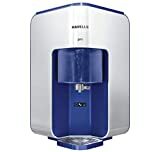 There are many water purifiers in the market which uses UV, UF, RO technology. 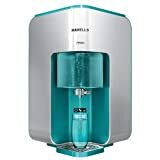 With so many water purifiers, it could be a difficult task to buy the best one which suits you. Basically, all popular brands use the same technology with slight varying features and design. You have to decide on the type of water purifier that you need. Some of the most common ones are UV, UF, RO water purifiers. Selection of appropriate water purifier does not end with testing of water. You have to consider many other factors before buying one. To put it briefly, you have to take into consideration whether the water purifier will meet your requirements such as the purified water storage capacity, maintenance cost, after-sales service, budget, etc. For more detailed information, read this article – how to choose a water purifier. The most popular water purifiers are the UV, UF, RO systems. Every water purifier in the market uses these systems either in isolation or in combination. Let us look at who can use these water purifiers. A sizeable chunk of the Indian population lives in villages and is dependent on natural sources of water for their daily requirements. Normally, you find water sources like rivers, lakes, and ponds near these villages. Well water is, however, the primary source of water that most of the people use for drinking and other household purposes. The above-mentioned water sources cater to all the water needs of the village people and you can see them using this water for drinking, bathing, cooking, washing clothes, and agriculture. You can also see village animals depending on these sources of water. Humans and animals can pollute the water directly or indirectly. In addition, it is a known fact that industries in the vicinity dump effluents into rivers. This results in contamination of water which if consumed without being purified will result in diseases which could potentially be fatal. The polluted water must be subjected to purification before direct human consumption and water purifiers can play a vital role here. Choice of water purifiers depends on the quality of water and it can range from you using a simple UV to a more complex RO water purifier. UV Water Purifiers – The principal objective of UV water purifiers is to eliminate bacteria, viruses, and other microorganisms from water. The water from rivers and lakes do have these microorganisms in plenty because of contamination through various sources. Subjecting this water to UV treatment can result in elimination of microorganisms thereby making this water fit for human consumption. UF Water Purifiers – We have seen that there are wells in practically every house in villages. There are fewer chances of human and animal contaminants contaminating well water, but you probably will find fallen leaves, twigs and mud in well water. The UF water purification systems are perfectly suited for filtering visible sediments. Electricity is not required to operate UF systems and is an ideal product to be used in villages. RO Water Purifiers – As mentioned before, there are many industries that dump effluents like arsenic, lead, and other impurities into river water. This is one of the worst forms of water pollution. Consuming water contaminated with these heavy metals can result in people contacting dangerous diseases. There is a need for immediate purification of such water before rendering it fit for human consumption. Reverse Osmosis is the best process to get rid of these heavy metal impurities. People living in towns and cities have an inherent advantage over the people living in villages. They might not have access to water directly from rivers and lakes, but they have municipalities in towns that undertake the supply of water to its residents. Municipalities have water treatment facilities where they purify water before distributing it to the residents. Generally, you find municipalities using chlorine and other similar chemicals to purify water. Some municipalities have RO water purification systems. They supply water through metal pipes to the individual houses. These houses have tanks for storing this water. Therefore, there are chances of re-contamination of water at various stages during its transport and storage. This necessitates the use of water purifiers. UV Systems – Water stored in tanks can attract microorganisms, bacteria, and viruses. Hence, you need UV systems to purify this stored water. The UV systems can eliminate these disease-causing microorganisms and make the water fit for human consumption. UF Systems – You need pipes to transport water. The metal pipes used in the process can rust and hence contaminate the water. There can be leaks in the pipes whereby other contaminants can enter the pipeline. You need UF systems to remove these sediments from the water before consuming it either for drinking or cooking. RO Systems – Municipal water contains chlorine and other salts. The water can also attract other contaminants on its way towards the individual houses. An RO system is the best one to take care of such impurities. RO water purifiers are perfectly suitable for borewell water as well if TDS is more than 500 ppm. Note: You most probably will not require RO water purifier if you use municipality or corporation water, instead you may need only nonelectric or gravity-based water purifier. Get water tested for TDS level and then only use RO water purifier. Many people living in coastal areas, either in villages or cities depend on borewells or groundwater for their water consumption needs. The water you find here has a large proportion of TDS. It is impossible to drink this water directly without purifying the same. Majority of the people will need to use RO water purifying systems in their homes to eliminate high levels of TDS, heavy metal impurities, and other sediments in water. RO systems do not eliminate certain microorganisms and bacteria. Hence, you will need to have a UV system in combination with the RO system. The RO system depends on use of semipermeable membranes and is relatively expensive to other types of water purifiers. RO water purifiers eliminate TDS up to 95%. In the process, they remove essential salts and minerals from the water. Therefore, it is better to have a TDS controller and Mineralizer working in combination with these RO systems. The best RO systems applicable to the people living in coastal areas should have the following technologies. Sediment filter to remove visible impurities. Pre-activated carbon filters to remove unpleasant taste of input water. UF systems to take care of ultrafine impurities. UV systems to remove microorganisms. Post activated carbon filters to improve the taste of RO filtered water. TDS controllers to balance the pH levels of water. Mineralizer to supplement the mineral content lost during the RO purification process. Here is the list of best RO water purifiers that you can consider buying. UV water purifier helps to remove bacteria, viruses, and other microorganisms responsible for causing waterborne diseases. UF water purifier eliminates visible sediments from well water and other water sources. RO water purifier helps to remove heavy metal impurities and regulate TDS in water. A combination of all the above three systems is perfect to cater to all types of water sources. The below table will help you in selecting the ideal water purifier depending on the quality of water. I have assumed that water contains harmful microbes even if the water is clear. Do not think just because the water is clear it is safe to drink. Above 2000 ppm NA NA Domestic water purifier will not work. Water is not fit for drinking. Following are the best water purifiers from popular brands in India that you can consider using at your home. All the listed products are available at Amazon at attractive price. If interested, you can also check out the below-mentioned products. 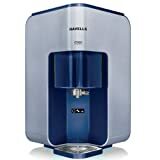 Though some of the water purifiers may not be as popular as Kent, HUL, Aquaguard brands, these water purifiers are still preferred by people for home use and they are comparatively less expensive or cheap than the market leaders that has a major share in the water purifier market. If you want to further explore and choose on your own the ideal home water purifier – check out here (make your own choice). We have seen the individual uses of the various kinds of water purification systems. These systems can work in isolation as well as in combination. Your selection of water purifier should depend primarily on the quality of water. 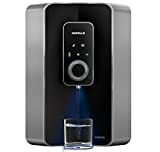 I hope this water purifier buying guide will help you in buying the right water purifier for your home use. With the rampant increase in human settlements and industrialization, the ground and surface water is not what it used to be in the past. In addition to the visible impurities, you have to contend with the dissolved contaminants as well. The traditional methods of eliminating these impurities fall short on various fronts. Hence, you may need a UV, UF or RO water purifier. TDS refers to Total Dissolved Solids. Your drinking water supply contains dissolved metals, minerals, salts, and other organic matter. Water in its purest form is tasteless. You require TDS to impart taste to the water. However, excessive TDS is harmful to health. According to the World Health Organization (WHO), the ideal proportion of TDS is water is around 300 ppm (parts per million) or 300 mg/litre. Concentration levels of TDS below 50 ppm and above 500 ppm is unacceptable. In the normal course, you have 5 different kinds of water purifying systems. The ideal water purifier is the one that is a combination of all the above methods. Reverse Osmosis – Makes use of a semipermeable membrane to separate the impurities and contaminants from water. This technology is useful where you have hard water having high concentration of TDS. UF Purification – Similar to the RO method, but the membrane used in the process has comparatively bigger pores. This is suitable for removing all colloidal impurities. Hence, it is useful where you have water with less concentration of TDS. UV Purification – Also known as e-boiling in this industry. This technology involves the use of Ultraviolet light for eliminating germs, microbes, and bacteria from drinking water. It is better to use this technology in combination with others to be more effective. Candle Filters – In other words, it is a sediment filter. The only difference is that this system does not require electricity. It works on the principles of gravitational force. This is effective for eliminating the larger impurities. Activated Carbon Filters – Effective for eliminating the unpleasant taste, especially pesticides, chlorides, and other impurities. These filters can improve the taste of water and is best used in conjunction with some of the methods listed above. The RO process is a comprehensive one that eliminates all the essential minerals from drinking water. However, you need certain minerals like magnesium and calcium, to name a few. The TDS controller performs the role of adding these essential minerals back to the drinking water before dispensing it. We have seen some FAQs on water purifiers that always crop up whenever you decide to purchase water purifiers for your home. This information should prove useful to you and help you make the right decision.